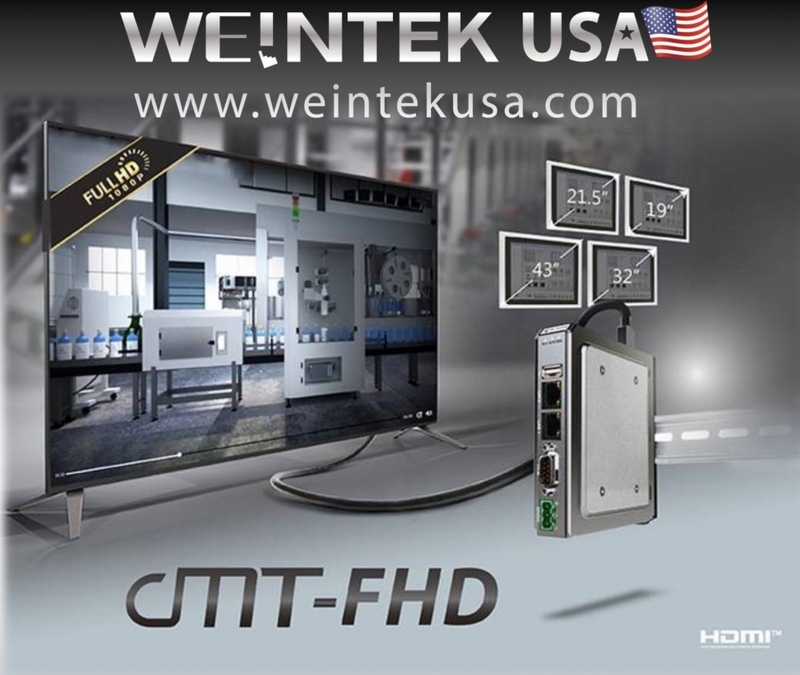 As a member in the cMT Series, cMT-FHD has inherits all the rich HMI functionality found in the series. Without touchscreen, the HDMI-enabled unit sends visualization and sound via HDMI to a large screen monitor, and supports operation using an external touchscreen or a mouse. The size of it, comparable to one’s palm, makes it well suited in any corner on site, yet it can output video that can be shown on a very large screen, helping adopters command control of their own HMI screen size instead of being limited by those available on the market. This new generation product provides more powerful image processing capability, supporting 1080p (Full HD) video playback and smooth transition animation to deliver unprecedented visual experience on large screens. cMT-FHD provides support for remote monitoring. By running cMT Viewer application on cMT-iV5, smartphones, tablets, or Windows PC, and by combining with VNC Server and remote access service EasyAccess 2.0*, users can effortlessly achieve remote monitoring. cMT-FHD is also suitable for Andon system. It can collect equipment and quality management data from the production line, process the data, and then send video/audio to a large screen monitor via HDMI, allowing real-time monitoring and control for onsite operators. Additionally, by providing powerful connectivity, including the de-facto IIoT protocol standards: MQTT and OPC UA*, SQL database connection, as well as more than 300 communication protocols, cMT-FHD is poised to meet various types of integration needs that may arise in future smart factories.